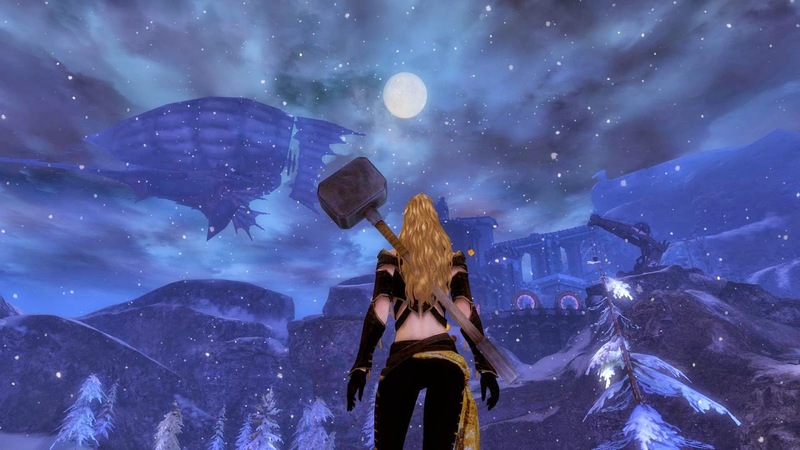 Inquisitive Myths: [GW2] Ironman Challenge Update: Halfway There! I'm halfway there! 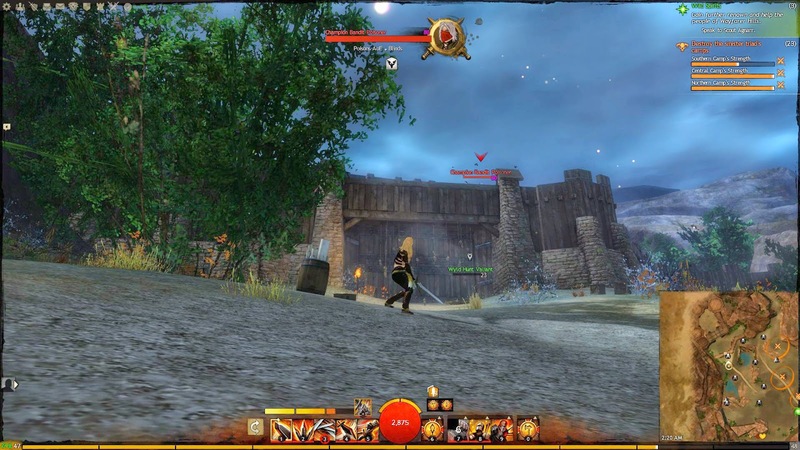 My new warrior just hit 50% map completion in GW2. I decided to finish the cities first. While exploring Divinity's Reach I ran into a naked dance party at the city entrance. Human cities, huh? I'm really enjoying the journey so far. Because of megaservers, there are players everywhere I go, which really makes the world feel alive. 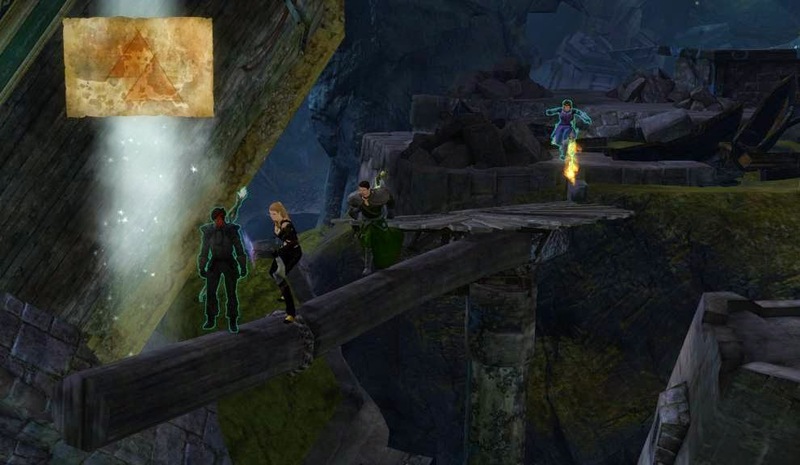 I was surprised to see that even Lion's Arch had players hanging out / exploring. Leveling (yet another) warrior, I'm surprised at the number of things I discover about the class. Just after hitting level 30, I noticed strange brown bubbles around my character. Apparently they're an effect from equipping Signet of Rage. The effect is so small on my asura that I never noticed it, and I never cared about the charr enough to look closely. Another reminder of why I'm rerolling. 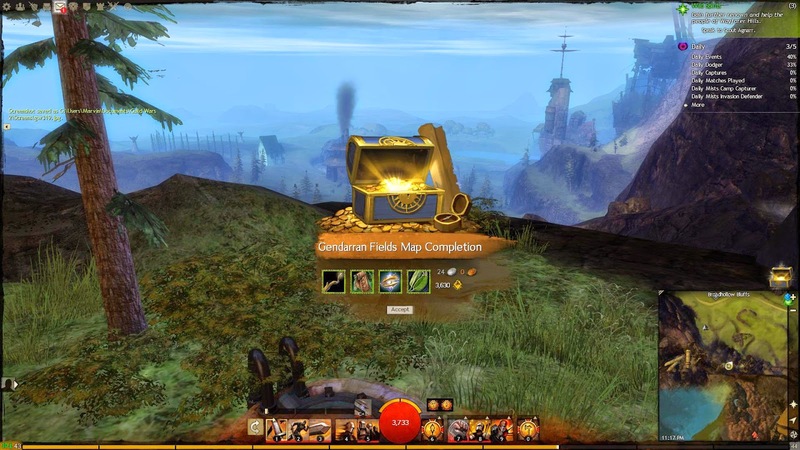 Gendarran Fields was the most boring map I completed. Since so many players are hanging out in Vigil Keep, most of the zone feels completely deserted. Felt like pre-megaserver leveling. Fort Vandal in Kessex Hills was a close call. Since the end of Living Story Season 1 suggested this area is about to become important, I wanted to explore the fort and hop over the walls. I reconsidered when I noticed the large numbers of level 80 champion poisoners on the walls. Apparently they're pretty tough. I went rooftop hopping in Ebonhawke instead. Just beneath this screenshot are two players engaging in either sappy-romance RP about returning from war... or some about-to-get-steamy ERP. Either way, it was awkward when they looked up to see my character perched like this. 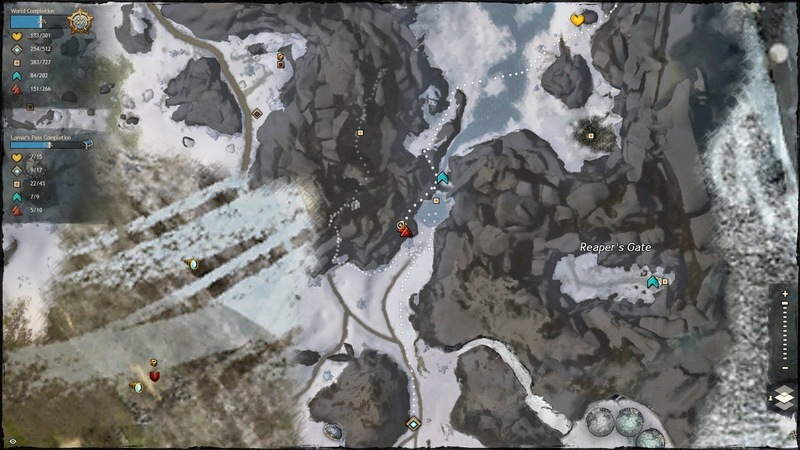 Finishing Lornar's Pass gave me 52% map completion at level 47. I'm being much more adventurous than my last character, who hit level 80 with only 61% of the map explored (no deaths). I think this new challenge is really encouraging me to take more risks exploring the world. Definitely looking forward to what the other half of the world has to explore!